The Greek farming sector would be able to raise the value of its exports from the 4 billion euros a year it stands at today to 10 billion euros if it adjusts production to international market demand, Foodstandard chief executive Stelios Drys told a press conference in Athens on Tuesday. Production of table olives in the last 10 years has grown from 90,000 tons to 140,000 tons per year, with 75 percent of output destined for foreign markets. 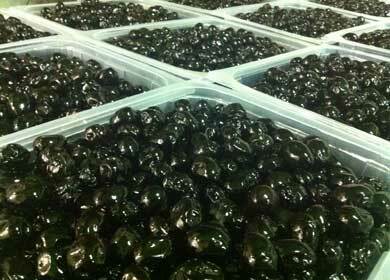 A recent swing in favor of Kalamata olives, however, could see exports soar even further, Drys said. It is this kind of shift to agricultural products with high export potential that could constitute a key to the recovery of the Greek economy, the executive argued. Another step he suggested is for farmers to switch to new crops that have high demand and high yields. A case in point is the decision by 56 farmers in Agrinio, western Greece, to swap tobacco for stevia, a plant used as a natural sweetener. They also reached a deal with a major multinational in the non-alcoholic beverages sector, which should earn them about 800 euros per 1,000 square meters. Drys said that although the mentality of Greek farmers is gradually moving away from subsidized production to more innovative approaches, there is still a lot of work to be done to promote cooperation among various sectors in agriculture. “We need to develop what is called the domestic extroverted character. Tourists visiting Crete should be returning home with at least one liter of olive oil. 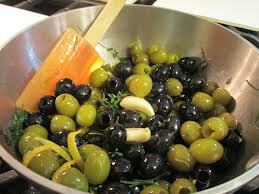 With that alone the exports of Cretan olive oil could reach 3,500 tons [per year] from 1,300 tons today,” explained Drys. There have been some food retailing and agricultural cooperations with the participation of the private and the public sector in the regions of Crete and the Northern Aegean to this end. This entry was posted in Chalkidiki Olives, Inolivia Kalamon, Inolivia olives and tagged Chalkidiki Olives, INOLIVIA pitted, Inolivia Rich Olive Flavours, kalamata olives. Bookmark the permalink. Of cousre agricultural and generally Greek food exports will increase and help our ecenomy! I myself am Greek and if there is one thing im proud about my country is our food and agriculture sectors. As i read your article, developing a domestic extroverted character is the first step. the second is to start actually exporting our food products, through numerous food suppliers! !